There lies the nub of the matter: Those selling these products, often on the Internet, have not bowed and scraped before the potentates at the FDA; and undoubtedly, the products they are hawking cannot be patented by the big pharmaceutical companies whose interests the FDA lives to protect. Therefore, they must be crushed lest Americans come to believe they have the right to determine for themselves which medical treatments they wish to employ. The FDA’s Deborah Autor told the Post, “These products are dangerously misleading because they are targeted to patients with serious conditions and limited treatment options. The FDA must take a firm stand against companies who prey on the vulnerability of patients seeking hope and relief.” To an FDA bureaucrat, taking away one of a “limited” number of treatment options for “patients with serious conditions” is somehow for the best. It just wouldn’t do to let the patient choose which treatment to undergo. Speaking of companies who “prey on the vulnerability of patients seeking hope and relief,” how about all those drug companies whose products have been approved by the FDA only to end up causing serious harm? The Post mentions that FDA officials say that unapproved chelation “substances may cause serious health complications, including dehydration and kidney failure, and possibly be deadly.” Yet, to take just one example of harm from approved drugs, the FDA approved the diabetes medicine Avandia and then helped its manufacturer cover up a study that showed the drug posed serious heart attack risks. Chelation therapy — as well as some other alternative treatments — is not entirely without risk. However, you see far more lawsuits and headlines in major media when something goes wrong as a result of an alternative therapy than when a more conventional treatment takes a life, which, by the way, happens hundreds, if not thousands of times a day. Many conventional physicians who are critical of chelation routinely use drugs like Risperdal and Clonidine when treating autism, despite the fact that the safety and effectiveness of these drugs in children have never been established, and death is a known side-effect of such drugs. However, deaths and serious adverse effects from “standard drug treatments” do not attract similar media attention or outrage. It’s ironic in a way, when you consider the fact that a mere 15 percent of all conventional medical treatments have been proven safe and effective in practice. The other 85 percent is pure guesswork and trial and error, and yet this is what the masses cling to as the gospel of safety. A word to the FDA: Leave the chelation-product merchants alone. Let patients, doctors, and researchers determine which products are safe and effective for which symptoms and share their discoveries with others — the same process that has been used for decades to discover alternative (“off-label”) uses for FDA-approved drugs. In other words, let medical freedom ring. There you have it, folks. Fluoride chemicals, which are derived from the waste emitted by the aluminum and phosphate mining industries, by the way (http://www.naturalnews.com/031541_F…), cross directly into the brain where they lodge themselves and cause disease. They also enter the thyroid and pineal glands and disrupt proper hormone production, which leads to various other illnesses. There simply is no denying the deadly truth about fluoride anymore. Ample evidence is continually being released that exposes fluoride as a highly-toxic chemical poison, and even the US Environmental Protection Agency (EPA) admits that fluoride is a toxin. The US Centers for Disease Control (CDC) also initiated damage control recently by lowering its fluoridation recommendations following the release of studies showing that fluoride harms children (http://www.naturalnews.com/030952_C…). Dr. Peter Osborne gives an easy-to-follow guide to the importance of magnesium levels in maintaining optimal health. One of nature’s most perfect foods may be even better for us than previously thought. Jianping Wu, Andreas Schieber and graduate students Chamila Nimalaratne and Daise Lopes-Lutz of the U of A Department of Agricultural Food and Nutritional Science examined egg yolks produced by hens fed typical diets of either primarily wheat or corn. They found the yolks contained two amino acids, tryptophan and tyrosine, which have high antioxidant properties. “It’s a big reduction but it still leaves eggs equal to apples in their antioxidant value,” said Wu. The findings were published in the peer-reviewed journal Food Chemistry. 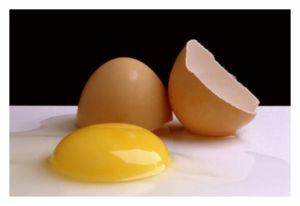 “Ultimately, we’re trying to map antioxidants in egg yolks so we have to look at all of the properties in the yolks that could contain antioxidants, as well as how the eggs are ingested,” said Wu, adding that he and his team will examine the other type of antioxidant already known to be in eggs, carotenoids, the yellow pigment in egg yolk, as well as peptides. In previous research, Wu found that egg proteins were converted by enzymes in the stomach and small intestines and produced peptides that act the same way as ACE inhibitors, prescriptions drugs that are used to lower high blood pressure. That finding defied common wisdom and contradicted the public perception that eggs increased high blood pressure because of their high cholesterol content. 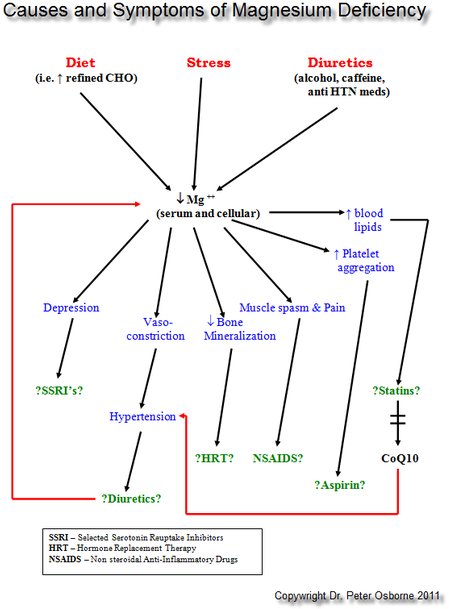 Additional research by Wu suggests the peptides can be formulated to help prevent and treat hypertension. Wu is convinced the peptides also have some antioxidant properties, which leads him to suggest that when he completes the next step in his research, the result will likely be that eggs have more antioxidant properties than we currently know.